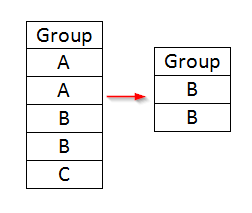 You can also create an output data set for the sorted data. 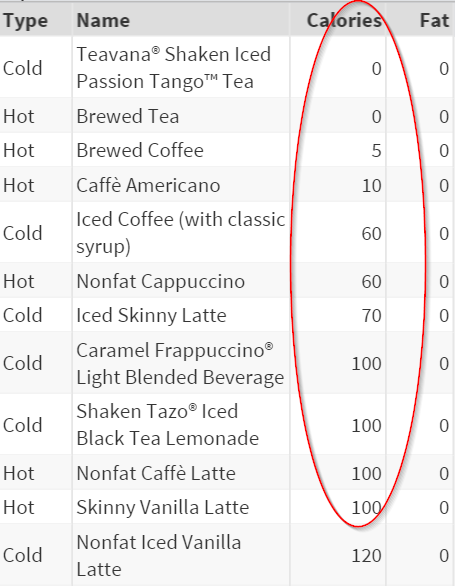 Again, let's take a look at the DRINKS data set. 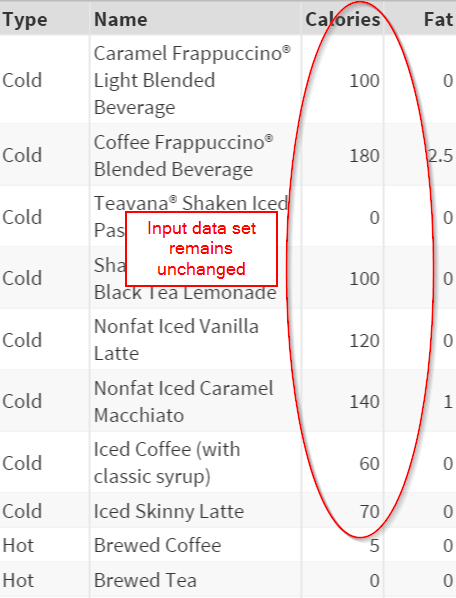 The OUT option allows you to specify the "output" data set. 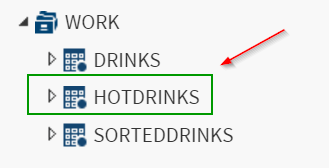 The OUT option creates a new data set called SORTEDDRINKS. 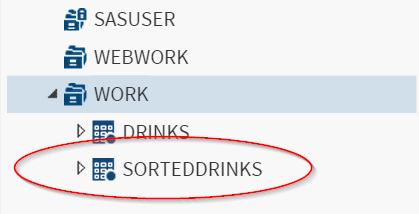 The SORTEDDRINKS data set contains the sorted data from the DRINKS data set. 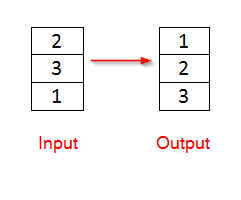 When using the OUT option, only the output data set is sorted. The original (input) data set remains unchanged. You can also subset the output data set by using the WHERE statement. 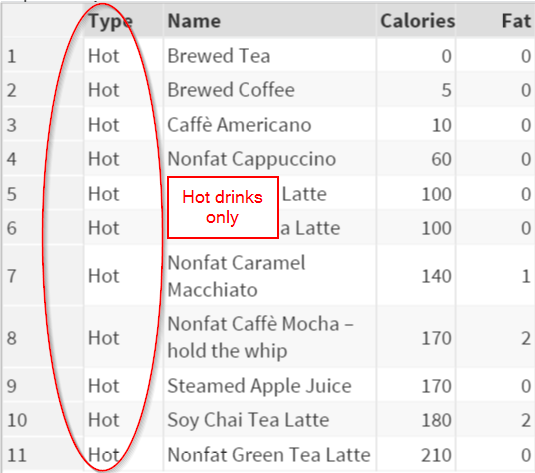 The WHERE statement tells SAS to keep only the hot drinks in the data set (Type = "Hot"). 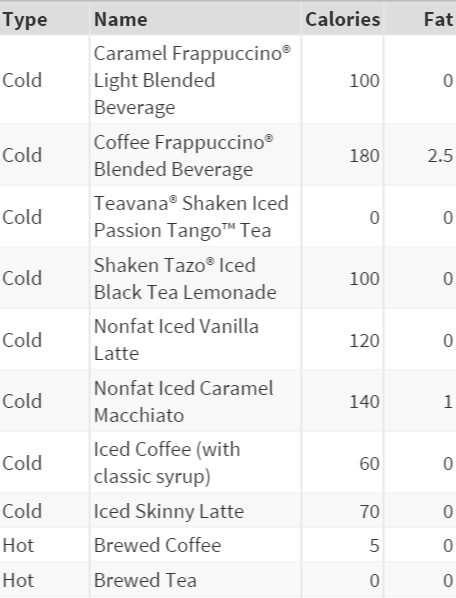 ​The "Cold" drinks are all removed. Sort the CARS data set by MSRP in descending order. Keep only BMW, Audi, Lexus, Mercedes-Benz and Porsche in the output data set and save the data set in the WORK library. Which car maker sells the most expensive car among the five?